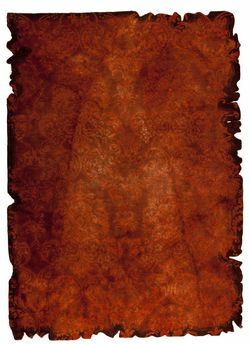 MAT Vintage Jalwa 2 Area Rug - Rust - Swatches may be available. Hand Tufted. Unique edging that appears to almost be burned in, the moody colors and boldness of this rug make a strong statement and captivate those who wander upon the Jalwa 2. 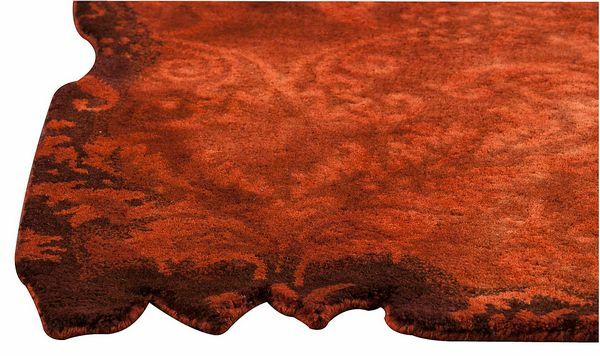 Available in a variety of rich colorways, this beguiling rug is sure to change the feel of any room you showcase it in. Hand-tufted and this artisan created using 100% wool. Hand Tufted with 100% wool. Re-dyed/Over-dyed left out yarns. Handmade. Handstitched. Geometric design. Pile height is .5 inches Made in India. 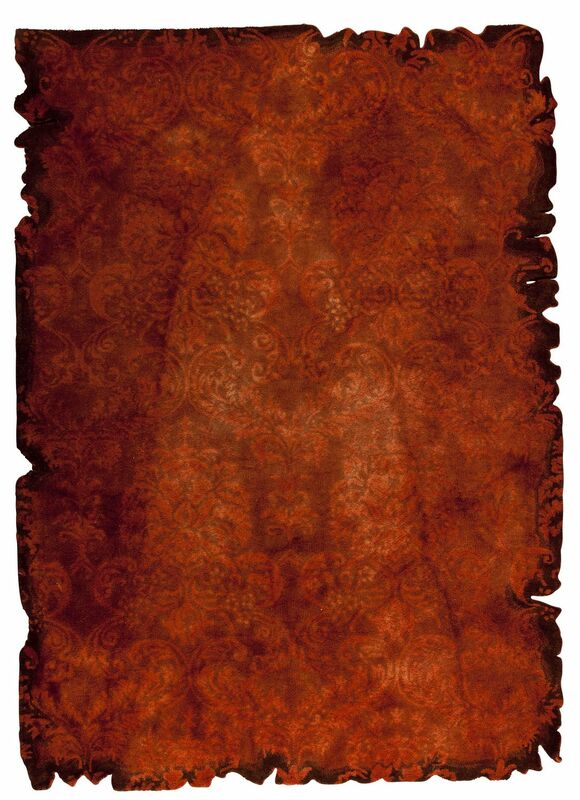 MAT Vintage Jalwa 2 Area Rug - Rust 5'2"x7'6"
MAT Vintage Jalwa 2 Area Rug - Rust 7'10"x9'10"